Staff Sergeant Henry E. Irizarry gave his life on December 3, 2004 when an Iraqi insurgent detonated an explosive device near his Humvee while his unit was on patrol in Taji, Iraq, he was 38 years old. His son Henry was 15. “My father sacrificed many things for a greater commitment. A commitment to serve not only his family and friends, but citizens across the country,” Henry wrote to Freedom Alliance. 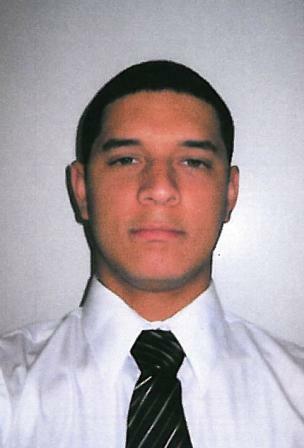 Henry D. Irizarry is a Freedom Alliance scholarship recipient and a senior at the University of New Haven studying criminal justice. He made the Dean’s List for the past two years and is the president of Ambassadors for Christ and the Sergeant-at-Arms for the Latin American Students Association. Henry says that seeing his father in uniform caused a burning desire for him to be like him. “My father inspired me to pursue a career in law enforcement. He taught me that it is ok to live for a greater cause and sometimes a greater commitment is necessary,” said Henry. By providing a scholarship to his son, Freedom Alliance is pleased to honor Staff Sergeant Irizarry and all like him who have died or been injured in service to our country.